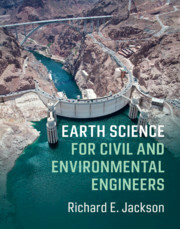 Earth Science for Civil and Environmental Engineers Jackson Richard E.
Add to cart the livre of Jackson Richard E.
This carefully targeted and rigorous new textbook introduces engineering students to the fundamental principles of applied Earth science, highlighting how modern soil and rock mechanics, geomorphology, hydrogeology, seismology and environmental geochemistry affect geotechnical and environmental practice. Key geological topics of engineering relevance including soils and sediments, rocks, groundwater, and geologic hazards are presented in an accessible and engaging way. A broad range of international case studies add real-world context, and demonstrate practical applications in field and laboratory settings to guide site characterization. End-of-chapter problems are included for self-study and evaluation and supplementary online materials include electronic figures, additional examples, solutions, and guidance on useful software. Featuring a detailed glossary introducing key terminology, this text requires no prior geological training and is essential reading for senior undergraduate or graduate students in civil, geological, geotechnical and geoenvironmental engineering. It is also a useful reference and bridge for Earth science graduates embarking on engineering geology courses. 1. Introduction; Part I. Rocks as Engineering Materials: 2. Structure and composition of the Earth; 3. Geological structures and maps; 4. Rock mechanics; 5. Characterization of rocks; Part II. Soils and Surficial Sediments: 6. Geomorphology; 7. Environmental geochem and mineralogy; 8. Glacial processes and permafrost; 9. Fluvial sediments and sedimentation; 10. Characterization of soils and sediments; Part III. Groundwater: 11. Hydrogeology; 12. Groundwater quality and contamination; 13. Land subsidence and karst; Part IV. Geologic Hazards: 14. Seismicity and earthquakes; 15. Landslides and the stability of slopes; 16. Coastal hazards. Richard E. Jackson is a Fellow with Geofirma Engineering Ltd. and Adjunct Professor of Earth and Environmental Sciences at the University of Waterloo, Canada. He has practiced in the US and Canada for forty years and was responsible for establishing the Groundwater Contamination Program for the Canadian Department of the Environment. He is the recipient of several awards including the 2008 Geoenvironmental Award from the Canadian Geotechnical Society, and the 2013 Robert N. Farvolden Award from the Canadian Geotechnical Society and the International Association of Hydrogeologists. He is an elected Honorary Fellow of Geoscientists Canada.